Director Seenu Ramasamy is waiting for the release of his Idam Porul Yaeval, starring Vijay Sethupathi and Vishnu in the lead roles. The film has a hit music score by Yuvan Shankar Raja and audiences are eager to see it on the big screens. 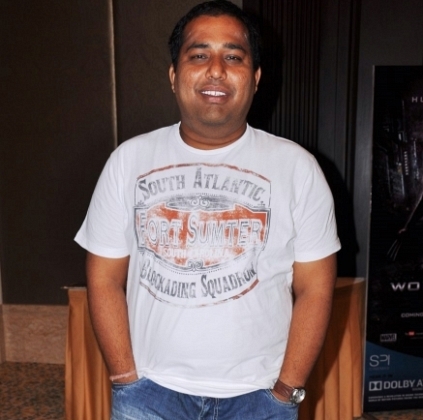 We hear that Seenu would be doing his next film for producer CV Kumar. The producer is currently busy with quite a few films, including Karthik Subbaraj's Iraivi and Nalan Kumarasamy's Eskimo Kaadhal (tentative title). This new film with Seenu Ramasamy would be commenced after these films. People looking for online information on C V Kumar, Idam Porul Yaeval, Seenu ramasamy, Thirukumaran entertainment will find this news story useful.